We are only a day away from Samsung’s unveiling of the Galaxy SIII or “next Galaxy” or whatever you want to call it these days. There is no denying that this has been the most anticipated Android device since well, the Galaxy Nexus I guess. On a global scale though, this is probably much more significant as Sammie’s lineup of Galaxy phones has essentially become the biggest in the world. So what could we possibly have with only 24 hours or so to go before kick off? Oh, quite a bit. 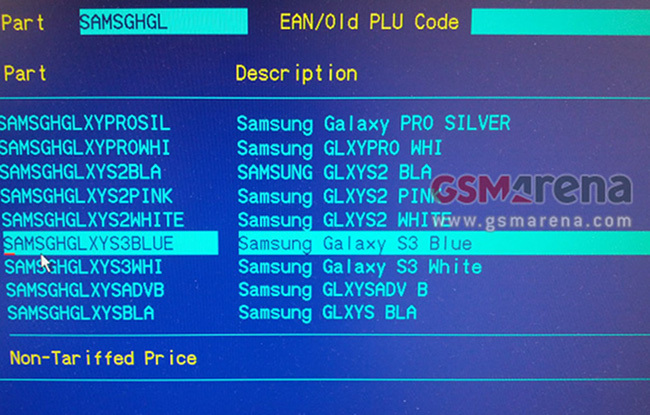 First, we have the Carphone Warehouse screen at the top which shows that the phone will come in both blue and white. Makes a bit of sense knowing that the “Next Galaxy” event invite had blobs of blue and white on it. For those not familiar, Carphone Warehouse is a UK retailer, so things could always change when they come to the States, but then again, the Note landed on AT&T in blue and white. You will also notice that they list the phone as the “Galaxy S3” which helps the claim that this will be the name when announced tomorrow. Next up we have a UAProf from a Verizon page that lists out a Samsung device by the model number SCH-I535 along with some specs. 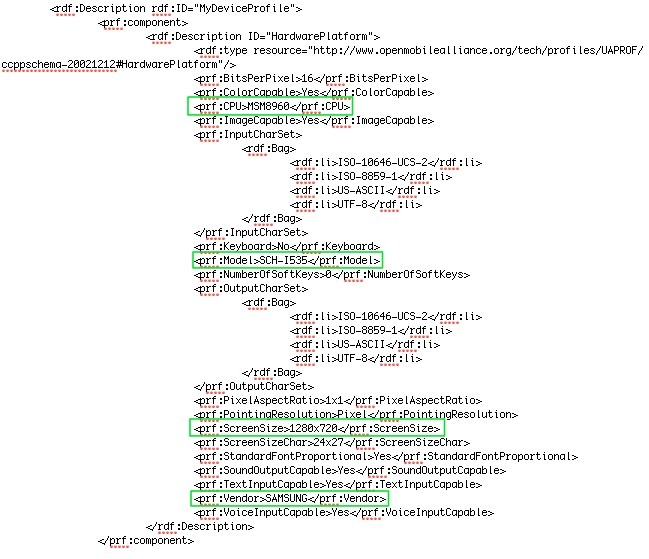 If that looks familiar, it’s because the Galaxy Nexus is SCH-I515, the Charge is SCH-I510, and the original Galaxy S (Fascinate) was SCH-I500, so I535 seems likely for the “next” in line. This UAProf lists out a screen resolution of 1280×720 (HD) and a processor of MSM8960 aka the dual-core Snapdragon S4 that is in every U.S. LTE phone these days. It’s hard to be disappointed since this chipset is arguably the best on the market today, but I’d be lying if I didn’t admit that a part of me was secretly wishing for the quad-core Exynos 4412. Last, we have what is being reported as the boot-up screen for the device. 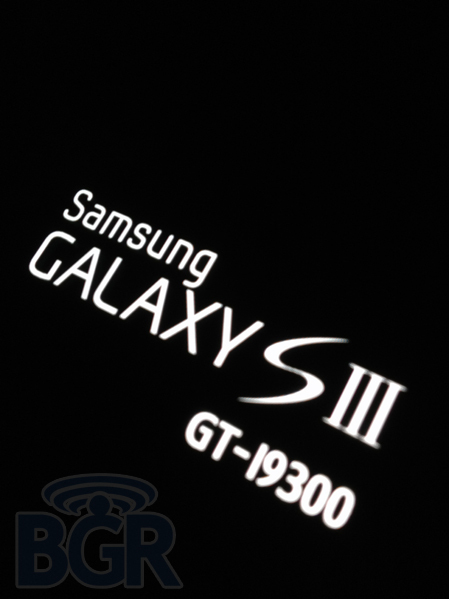 You can clearly see “Galaxy SIII” and “GT-I9300” splashed across it, both tags we have seen attached to the device for months now. If Samsung comes out tomorrow and does not call this phone the “SIII,” I’d be highly surprised. Thoughts on the dual-core to Verizon? Fan of the colors? Good with the name? Cheers Daniel and everyone else!